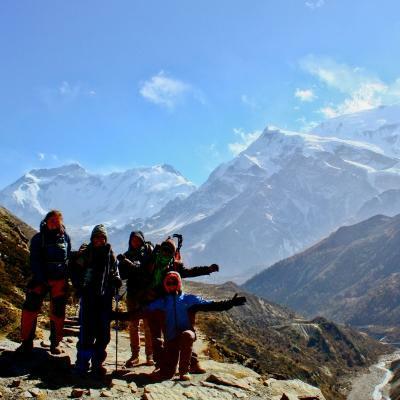 Join us in Nepal and do conservation volunteer work in the Himalayan mountain range. You’ll help with wildlife research and other important activities, and work closely with conservation experts. Everything you do here is part of our ongoing efforts to protect biodiversity in the Annapurna mountain range. Living and working in the shadow of the majestic Himalayas is a great way to add unique experience to your CV, and help protect our planet at the same time. You’ll do things like set up and monitor camera traps and identify and count wildlife species. You’ll also help raise awareness in local communities about the importance of protecting the environment. You’ll stay in a family-run hostel in the small rural village of Ghandruk, with the Himalayas in sight wherever you go. You’re bound to have the experience of a lifetime as you live and work at the top of the world! 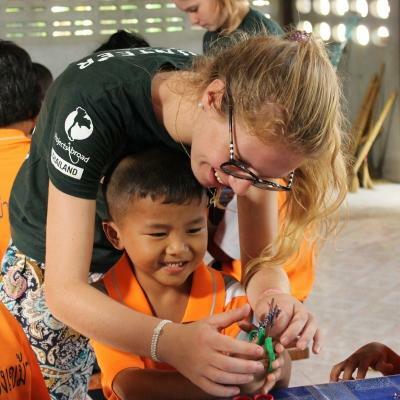 Is mountain conservation volunteering in Nepal right for me? This project is a great fit for you if you are passionate about conservation work and want to live in a unique environment like the Himalayan Mountains. You’ll live and work in a mountainous region, surrounded by towering peaks and forests as you learn from conservation experts. 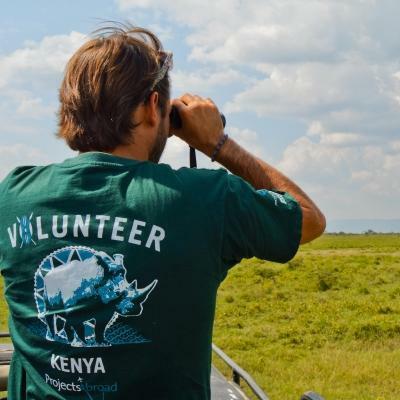 It’s a unique opportunity, as we are the only volunteering organisation running a Conservation Project in this area and contributing to important ecological research. This is also a wonderful way to add conservation work experience to your CV, which could help your future career, or just to have the chance to do something wildly different. You don’t need any specific qualifications or experience to take part. 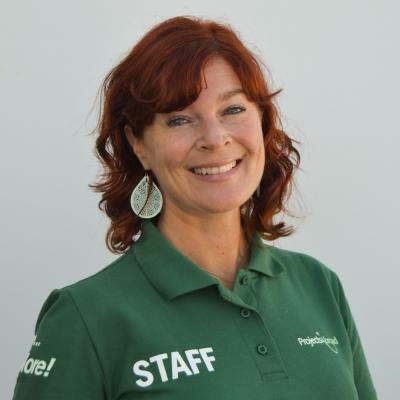 Our staff will teach you everything you need to know, and you can reach out to them for guidance and help at any time. Please be aware that this project does involve of a lot of walking and hiking, so you need to be reasonably fit. This project runs year round, and you can join at any time from a minimum of two weeks. We strongly recommend that you stay for a minimum of four weeks if possible, to avoid spending too much of your time travelling. 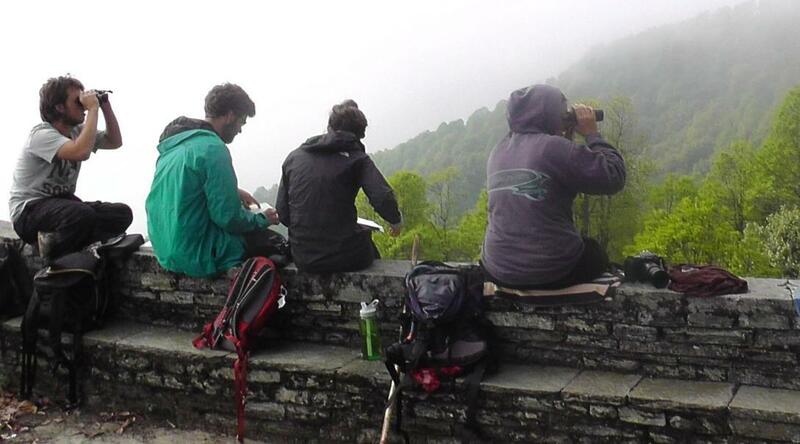 What will I be doing as a mountain conservation volunteer in Nepal? It’s likely that you will participate in the Rhododendron Regeneration Survey during your time in Nepal. The aim of the study is to discover whether the Annapurna area is home to the largest rhododendron forest in the world. You will help by measuring trees and recording data. Raising awareness in local communities is part of our ongoing conservation work in Nepal. You’ll help with this by running workshops and events in the community. During these workshops, you’ll teach local people about their surrounding natural environment and the importance of preserving it. You’ll also discuss recycling, and how litter and pollution harm the environment. We also do regular rubbish clean-ups. 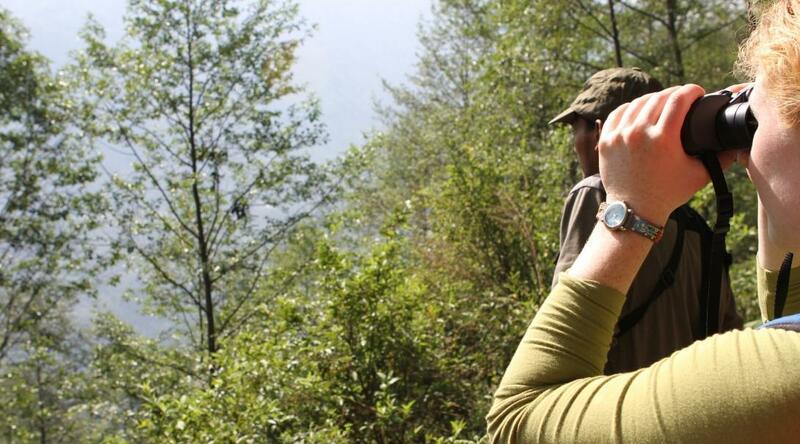 In Nepal, we work with the Annapurna Conservation Area Project (ACAP) at our Conservation Project. 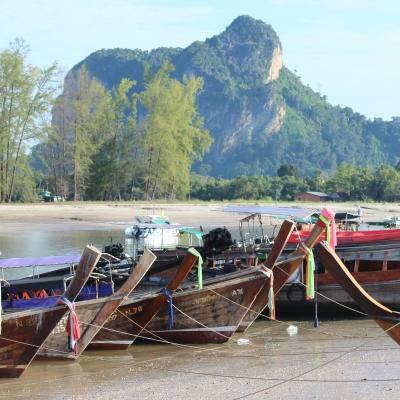 ACAP is a government organisation that works to preserve and enhance biodiversity in the area. We are helping them create baseline data that show the need for conservation strategies. We then assist them with implementing these strategies successfully. ACAP also uses this data to measure the progress of the region, and the impact of our joint efforts. You will live and work in Ghandruk. This picturesque rural village is located in the Annapurna mountain range in Nepal. Ghandruk is home to truly spectacular views of the Himalayan mountains as well as plenty of friendly people. You will stay at a guesthouse. Pokhara, one of the largest cities in Nepal, is the closest city. Simultaneously vibrant and laid-back, Pokhara is home to plenty of attractions and restaurants, making it an ideal weekend getaway spot. A typical weekday will begin with breakfast at your guesthouse before setting off on your morning activity. You’ll work for about five to eight hours each day from Monday to Friday. Your day will be split into a morning activity, and an afternoon or evening activity. These activities will take place over two to four hours. In one day, you can could find yourself monitoring animals using camera traps in the morning, and helping with a forest study in the afternoon. You will receive your schedule at the beginning of each week. It’s likely that you will work on several different programmes in one week, so no one day will be exactly the same. You may also participate in some initiatives that require a full day or overnight trip. In this case, the daily schedule would change to accomodate the trip. All meals will be provided for you at your guesthouse, so you will return for lunch and dinner each day. You’ll have the evenings free to play cards with your fellow volunteers, stroll through the village, or just relax in your room. The major aim of this project is to protect biodiversity in the Annapurna mountain range in the Himalayas. We do this through a combination of research and community work. This area of Nepal is home to a large variety of spectacular plant and animal life including several vulnerable and endemic Himalayan species. The area is under threat as a result of habitat degradation, failed natural resource management, and a change in the livelihoods of local people. research and studies, and help local people understand the importance of protecting their environment. By joining us in Nepal, you’ll become part of these ongoing efforts. As we are the only volunteer organisation doing this kind of work in the Annapurna area, we need people like you to help. 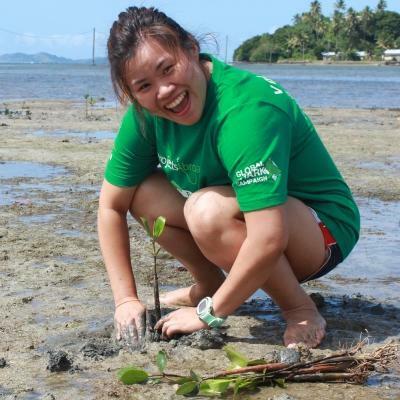 The more volunteers we can bring on board, the more we can do for the environment. Join us as a Conservation volunteer in Nepal and help us protect and enhance the natural biodiversity of the Himalayan Mountains. 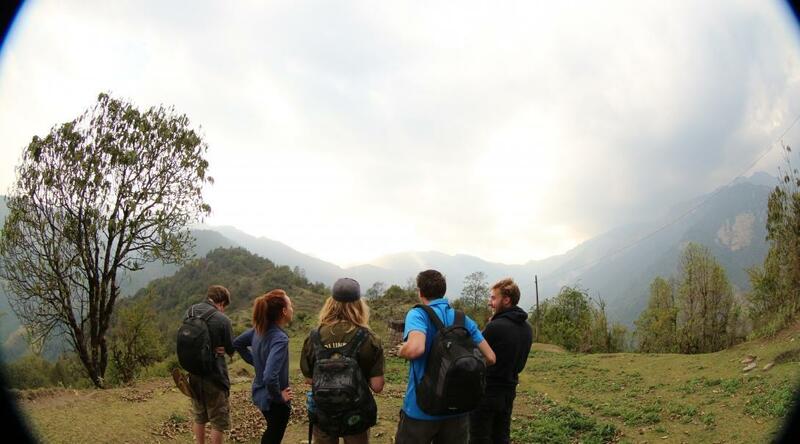 You'll share accommodation with other Projects Abroad volunteers and interns during your stay in Ghandruk. 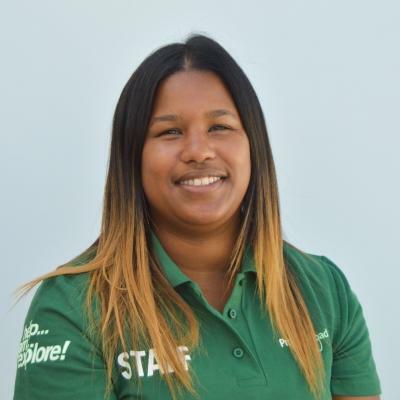 This is a great way to get to know your fellow volunteers and interns, share experiences, and explore your surroundings in your free time together.